The largest and most affordable Online De Poort Cargo Bike Covers Shop! De Poort Cargo Bike Cover shop the largest and most affordable! Do you want to buy a De Poort Cargo Bike Cover online? Hollandbikeshop.com has the De Poort Cargo Bike Cover you're looking for. 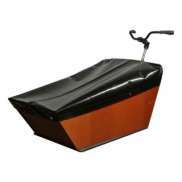 A De Poort cargo bike cover protects the box of your cargo bicycle as well as its contents. And the bright, cheerful colors give your cargo bike a personal touch! 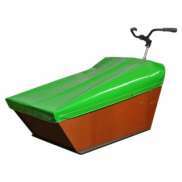 At Hollandbikeshop.com you can find a wide choice of Cargo Bike Covers by De Poort. In our wide range of Bicycle Accessories on Hollandbikeshop.com you can find De Poort Cargo Bicycle Covers in various colors, sizes and models, like covers for short and long cargo boxes. So you'll surely find the Covers for your De Poort Cargo Bike that you're looking for. 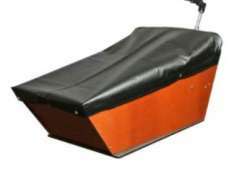 Hollandbikeshop.com is dealer of De Poort Cargo Bike Covers and has a large and affordable range. We also often have De Poort Cargo Bike Covers on sale or in our outlet, so keep an eye on our sale button. The largest and most affordable online De Poort Cargo Bike Cover bicycle shop!